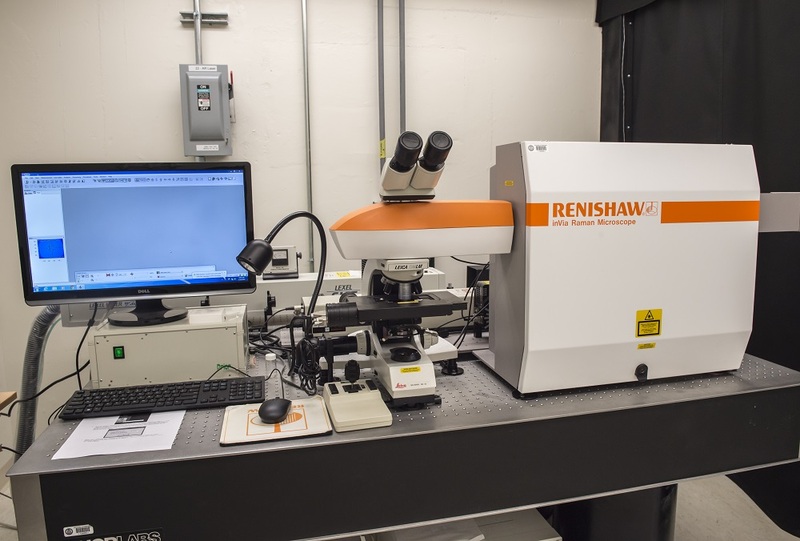 The Renishaw inVia Raman microscope offers simple operation, high performance, and flexibility. The microscope is a highly sensitive system with an integrated research grade microscope, enabling high resolution confocal measurements. The system supports multiple lasers, with automatic software switching of excitation wavelength. The current system includes the following excitation wavelengths: 229, 488, 633, and 785 nm. ……………………………………………………………………………………………………………………………………………………………………………………………………………………………..